I’m a board gamer, a terrible one, as well as rpg enthusiast. I’ve got a decent BG collection and a terrible win rate. I prefer games with just enough luck that I can blame something else for my loss. Cooperative games serve that purpose as well- I can point to “collective” bad moves rather than my dumb play. 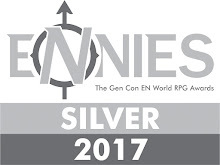 So I dig Castaways, Marvel Legendary, Pandemic Legacy, and related games. 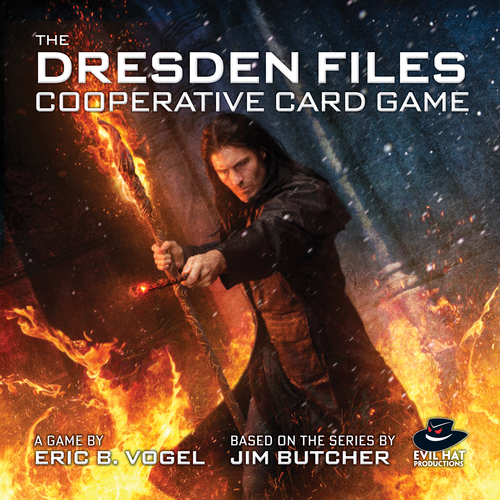 Evil Hat’s new Dresden Files Cooperative Card Game falls squarely into that niche. And it’s one of my favorite games of the year. 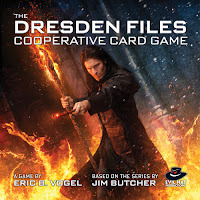 DFCCG’s set in the Dresden Files universe (aka “Dresdenverse”). As I’ve mentioned, I have an “GM prep” level of knowledge about vs. a reader’s knowledge. This game delves deep into that world. On the one hand you have character sets, each with a divider, two special cards, and a twelve card deck. Each has a nice flavor and decent illustrations. They cover all of the biggies. 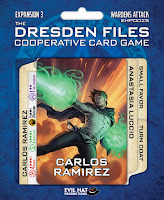 None of the DF experts I played with went “Oh, they should have had X.” They also have thirteen card case decks, each one built around a particular novel complete with those events and characters. There’s also a larger “Brief Cases” deck if you want to randomly generate case. The board has two rows of six cards. You shuffle and deal out the case cards to those rows. Each card has a “range”, so those furthest to the left are at range 1, furthest to the right are range 6. Card effects can only reach a certain distance. 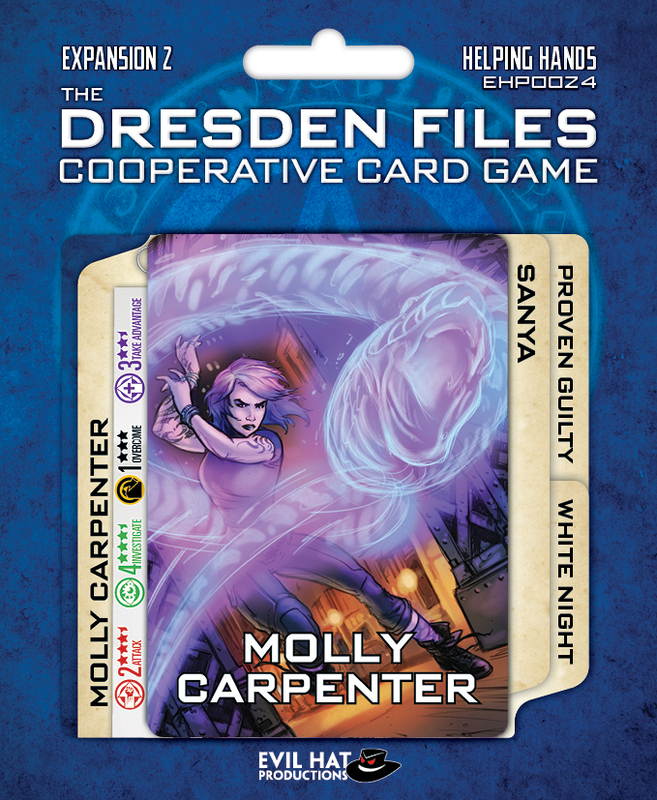 Each case contains enemy, mystery, obstacle, and advantage cards. You add damage tokens to enemies to remove them; clue tokens to mysteries to clear them. Obstacles and advantages have specific cards to clear them. In the end, you’re trying to have more mysteries cleared than enemies left on the board. Do that and you win. Anything else, you lose. Each player shuffles their deck and draws a number of cards based on player count. More players, fewer cards. Here’s the thing: unless a special ability or card result triggers it, you don’t draw any more cards. That’s it. Those cards are a huge resource. Fate Points are the other resource, you have a shared pool of these you spend to play cards. To get those points back, you have to discard a card as your turn, regaining FP equal to the card’s cost. You also have Talents, special tricks which usually activate when you discard for fate, and a Stunt you can (usually) only activate once per game as an action. If you know the Fate rpg, you’ll recognize the game’s terminology. For example, you play a Create Advantage to gain Advantage cards with an immediate benefit. You play an Overcome to remove an Obstacle card which has a global negative effect. As well, you use Fate dice for randomization. I dug that and it didn’t get in the way for non-Fate folks. 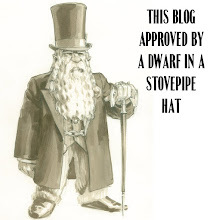 In fact, I’m kind of hoping it might serve as a gateway for non-rp players into DFAE or the regular DFRPG. It’s clever. Throughout the game you have a tight, tight economy. You can use your Stunt once, and it’s usually potent. You have a limited hand of cards; you can talk these about generally but can’t show or give the specifics to other players. The table has to to negotiate about the use of fate points and replenishing them. Timing means that you may have to discard a valuable card just to keep the game from ending. If you can’t do anything, you have to pass—but that costs a fate point. Which brings us to the end game. If you have to pass and there’s no FP, you go to the Showdown. If you try to play a card with a randomized FP cost and it’s more than your fate pool, you go to showdown. If the team agrees that you’ve hit all that you can do in the main play, you can go to Showdown. Each case has a Showdown card. In this phase, you get one more shot at any enemy or mystery with at least one token. You roll a number of Fate dice listed on the case’s showdown card. Positive results add more tokens, potentially taking the card out. If your group has Fate points to spend, you can *slightly* raise their odds. The costs and odds depend on the case. That makes deciding to go to showdown an important calculation. It’s a neat shift and breaks the gameplay up. You finish a collective discussion on how to mitigate chance and risk. It’s a different kind of puzzle than you’re facing the first part of the game and makes a distinct final act. Puzzle’s a good way to describe DFCCG. But it’s not a fixed one. You have several set up variables. First, the character selection impacts play. Each one has different abilities and a different balance of card types. The latter’s helpfully noted on the card dividers. Second, you have how case cards actually land on the table. If a problematic Obstacle’s further away, you may suffer under it longer. If you have a clot of bad guys at the front, it will be harder to solve mysteries. That changes up your play every time. Finally you have what you actually draw to start the game. There’s ratio of different cards, but your hand still might end up heavy in one aspect, forcing you to shift strategies. DFCCG has the same modularity as Marvel Legendary, and that’s something I adore. The Brief Cases cards I mentioned earlier have a set guidelines for different case deck compositions. That’s complemented by different Showdowns you can pick or randomly choose to shape the challenge. There’s a lot of replayability. I’ve played the first case (Storm Front) six times, with player counts from 2 to 5. I didn’t get tired of it. Playing on easy (the max starting Fate in your pool), I’m 50/50 win/loss. Each game felt tight. The second case, which I’ve played once and lost, feels different than the first. There’s smart design across the board here. It’s also a game you’ll finish in 30 minutes, often less. Player count doesn’t heavily change that- it played well at all sizes. Even including teaching time, I don’t think we’ve broken that range. I love, love Legendary, but this game has the advantage over it in play speed and set up time. I backed the Kickstarter, so I got the full spiel. 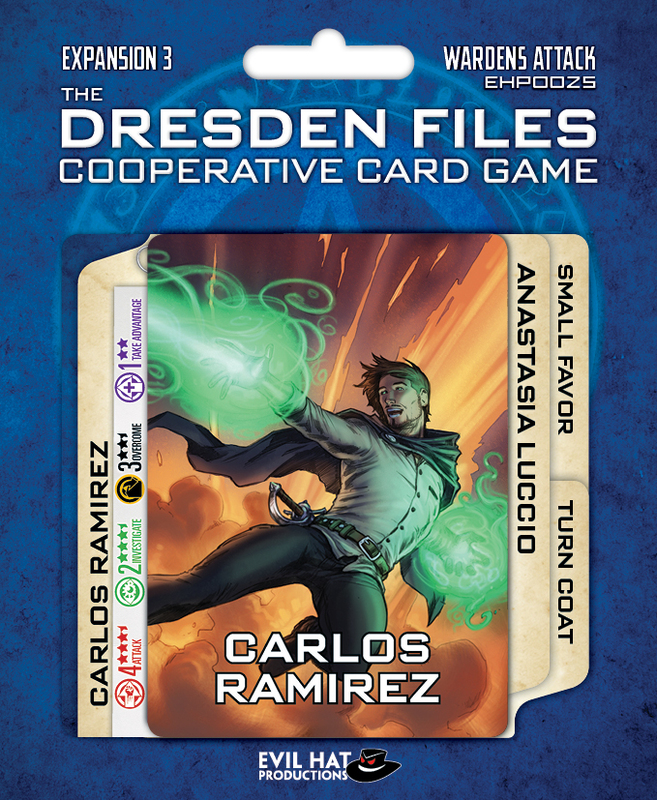 Dresden’s base set comes with five characters, five cases, plus some side jobs cards. 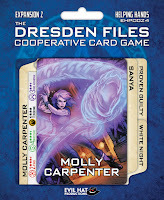 Each of the three expansion sets have two new characters and two cases, plus add-ons for the side jobs deck. I think you could easily play and get a solid value out of just the base set. The expansions augment rather than change, so I’d say pick them up if you dig the game. They add a lot. With seven plays, I’ve only just begun to dig into the game. We haven’t pushed past Case #2 (Fool Moon), but I’m looking forward to it. I’ve enjoyed it and all nine other players I taught and tried it with dug it. It has gone over with Dresdeverse aficionados and newbs equally well. This is definitely going to be my go-to ‘fast co-op’ game as well as a pick-up game I’ll always take with me.